Prof. Soha Moussa, professor of mechanical engineering. A memorial to the victims of the Montreal massacre lines a hallway in the Thornbrough Building. 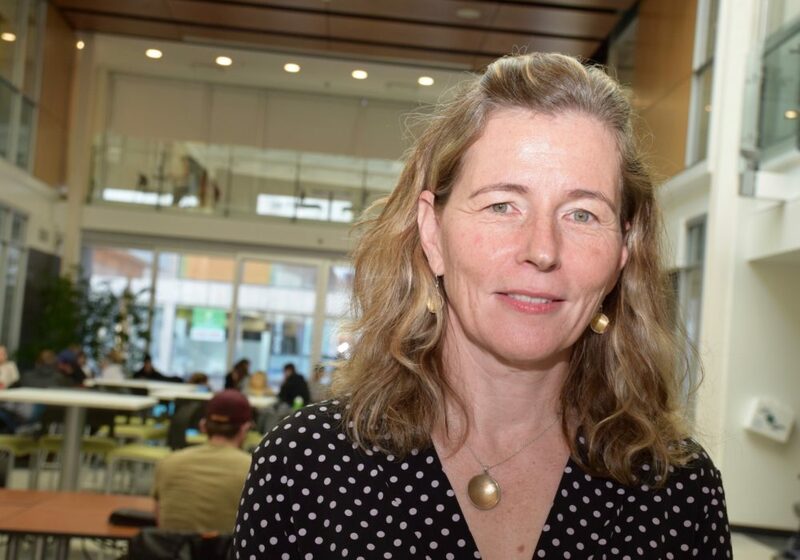 When a deadly assault on young women unfolded 29 years ago at École Polytechnique in Montreal, Karina McInnis was an engineering student in a lecture hall at Queen’s University in Kingston, Ont. She was terrified. Prof. Mary Wells was in the early stages of her career in engineering, living in Hamilton, Ont., when the massacre happened on Dec. 6, 1989. 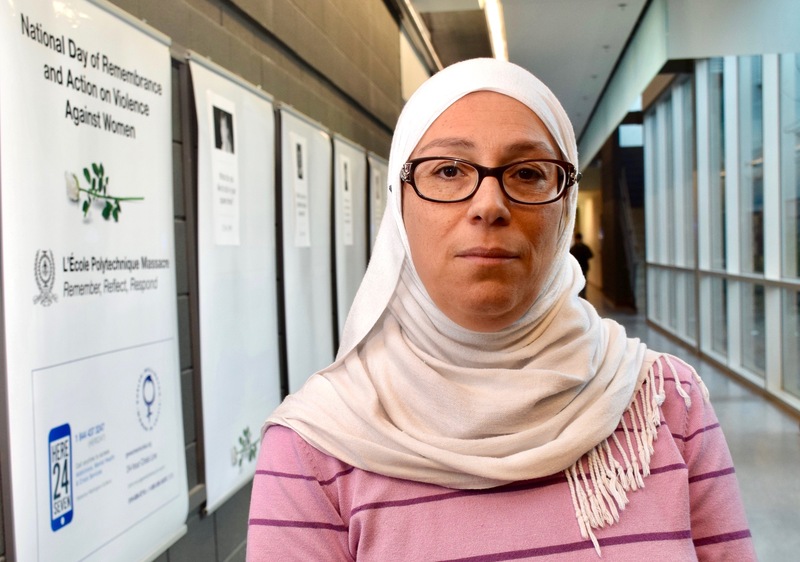 Prof. Soha Moussa heard early reports of the Montreal massacre while preparing to return home to Canada from Egypt as a recent engineering graduate of the American University in Cairo. Prof. Mary Wells, dean of the College of Engineering and Physical Sciences, says details of Dec. 6, 1989, are forever etched in her memory. The day that saw the murder of 14 young women – 12 of them engineering students – changed countless lives forever. It is commemorated each year as the National Day of Remembrance and Action on Violence Against Women. Ten other women and four men were wounded in an assault that lasted 20 minutes. Others – collectively thought of as the “15th victim” – were unable to live with the nightmarish memories and emotional trauma of the event and took their own lives. Dec. 6 will be marked in the Adams Atrium of the Thornbrough Building at 2 p.m.
Wells studied engineering at McGill University, on the other side of Mount Royal from École Polytechnique. She completed her degree in metallurgical engineering in 1987 and was working as an engineer at Stelco in Hamilton in ’89. The event was especially shocking, she said, because the gunman, a disgruntled 25-year-old describing himself as a hater of feminists, targeted only women. Wells and others prefer that the killer’s name not be used. It is already well-known. As the news of the Montreal massacre broke, Karina McInnis was in a lecture hall at Queen’s University, terrified by the nightmarish events. The annual Dec. 6 National Day of Remembrance and Action on Violence Against Women is a day to remember the young women who lost their lives, to reflect on the societal conditions that perpetuate violence against and the oppression of women, and to commit to taking action that will improve women’s lives, she said. Engineers have a large burden of responsibility in society, and it is vital to have the best minds working on problems to come up with the best solutions, she added. The number of women entering the engineering profession has increased from about 12,700 in 2006 to just over 26,000 in 2016, according to Engineers Canada statistics. But women make up only about 13 per cent of professional engineers in Canada. Moussa said U of G’s School of Engineering is dedicated to diversity and inclusion and committed to removing stereotypes that can deter women from entering the field. The school has a strong contingent of female faculty and students, she added. It is important to remember that some people believe women shouldn’t be in science, technology, engineering and math, McInnis said. She said the massacre was a shocking reminder that some see women in those fields as a threat. And there are those, said Moussa, who harbour extreme misogynistic attitudes. Under certain circumstances, she said, invalid and incorrect feelings of hatred may fester. A memorial in a hallway of U of G’s Thornbrough Building depicts the tragic loss of life at École Polytechnique in Montreal 29 years ago. 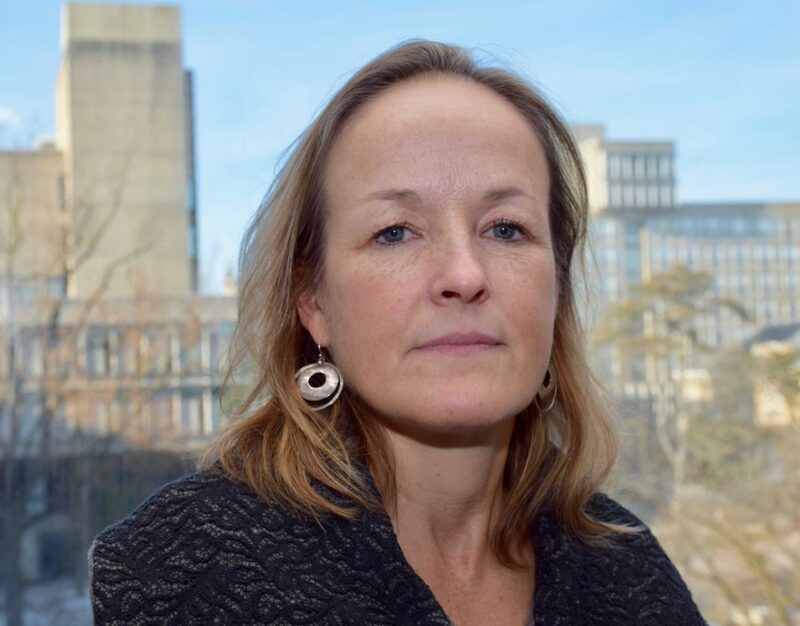 Wells, McInnis and Moussa have worked throughout their professional lives to encourage women to pursue engineering and to improve conditions for women in the profession. The young women who died in Montreal had a clear picture of where they wanted to go in their lives, McInnis said. She called them strong and brave women who were determined to be engineers, a field that they were not necessarily encouraged to go into.